If you are faced with the challenge finding quality nameplates or interior signage for your organization, rest assured, this challenge is not as great as you might think. T-Cube Signs has a wide range of experience in the design and fabrication of nameplates and interior signs and we are ready and able to assist nearly any business or industry with the design, planning and ordering of their customized nameplates and interior signage. Here are some simple steps involved in planning your signs and getting your order completed. The dimensions of the interior signs and nameplates that you need are important not only for placement but also in terms of cost. Do you know the dimensions of each sign or nameplate that you need? Consider where the signs or nameplates will be displayed. If they will need to be viewed from a distance, they will need to be larger. Making decisions about the sizes and shapes you require should be done while you are on location so you can visibly compare scale and size within your own facility. Size and shape determinations will depend on the use of any logos or artwork that you wish to include with your signage. If you have any special size or shapes required for your business, be sure to contact us at T-Cube Signs. We look forward to the opportunity to meet your signage needs when it comes to unusual or creative nameplate or interior signage needs. There are a wide variety of color and finish options you can select for your nameplates or interior signs. Your choice of color and finish will relate in large part to the colors used in your branding, but whatever color or finish you choose, it is critical that you maintain consistency in your selection. If your signage is not uniform and consistent, your customer experience will be inconsistent as well. The method with which you choose to mount your sign is up to you, and we can provide you with nameplate holders or your interior sign can mount directly to a surface using flush mount screws or metal stand-offs to give a three dimensional effect. There are many mounting options available for nameplate signs and interior signs. If you are not sure about the best way to mount and display your signage, contact us at T-Cube Signs for advice regarding the best mounting alternatives for your nameplates or interior signs. Your next step is the easiest to accomplish. When you are ready to place your order for signage, contact us at T-Cube Signs and we can provide you with an online quote for your signage needs. Whether your order is large or small, we can respond quickly to whatever needs you may have for signage. We take pride in our ability to provide you with a wide range of products for your nameplate and interior signage needs. Signs produce results in many ways and it is important to understand how you are sending messages to your customers, clients or visitors. If you want to communicate with the public about your business, product or services, you need to be able to send your message with a clear and concise delivery. This message must be conveyed via an understandable and recognizable medium, and your message could range from the very important to the very mundane. For example, you may have a message that communicates your brand and your company philosophy, and you may have other messages to send that simply tell customers where to go or what to do at your place of business. In either case, signage plays a very important role to the success of your business. When you consider signage for your business, it is important to develop a thorough signage plan that addresses all of your facilities needs in a comprehensive program. In many cases, architects and interior designers can provide assistance with the planning required to get this plan together. Planning takes time and you may find that there are many revisions before you identify the best plan for your business. During the planning process, you will achieve the most effective results if you are able to maintain some core values. In some cases, a core value may center on facility safety, for another business the core value may be brand identity, and another example of a core value might be the chance to offer visitors with educational opportunities throughout your facility. Another part of the planning process relates to conformity and continuity. These are important as you plan the signage for your facility, especially when it comes to brand identity. Maintaining uniformity can be a challenge in a large facility, but even a small store, restaurant or office can still have challenges unless a comprehensive documented plan is established to serve as a guide when producing and placing signage. This is particularly important, as your sign needs change over time. An initial order of signage for your facility could produce nice, uniform products that provide you with the identity and uniformity that you desire, but as time goes on you may find the need for additional signs or replacements signs for various reasons. If you have a documented signage plan in place, you will be assured that any replacement signs or new signs will maintain the uniformity you desire. Planning your signage needs is in some respects more difficult than the ordering or even the installation process, because it requires care and decision making that is important to your business. Signage has been the focus of T-Cube Signs since 2002 and our nameplates and interior signs have been helping businesses in Florida, Illinois, Massachusetts, Minnesota, New Jersey, New York, Oregon, Washington and Texas where they are currently operating. 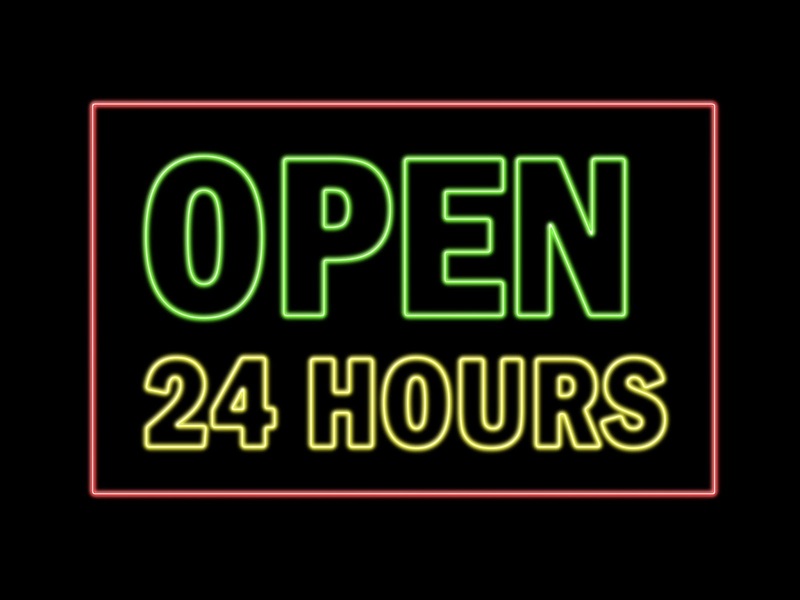 Contact us today if you have questions about the products that we offer, or if you have any questions about the best approach to take when developing a signage plan for your business. Successful restaurant owners know the value of clear and concise signage within their establishment to communicate to their customers and drive sales. The demand for quality signage that can be produced in a quick and cost-effective manner is greater than ever. There is no better answer for fast and simple signage such as name tags, name plates and interior signs than the products provided by T-Cube Signs and if you are a restaurant owner, we can provide a valuable service for your restaurant. Who Needs Food Service Signage? Quality signage is not just appropriate for your restaurant, it can also serve your catering, banquet and wedding buffet needs as well. 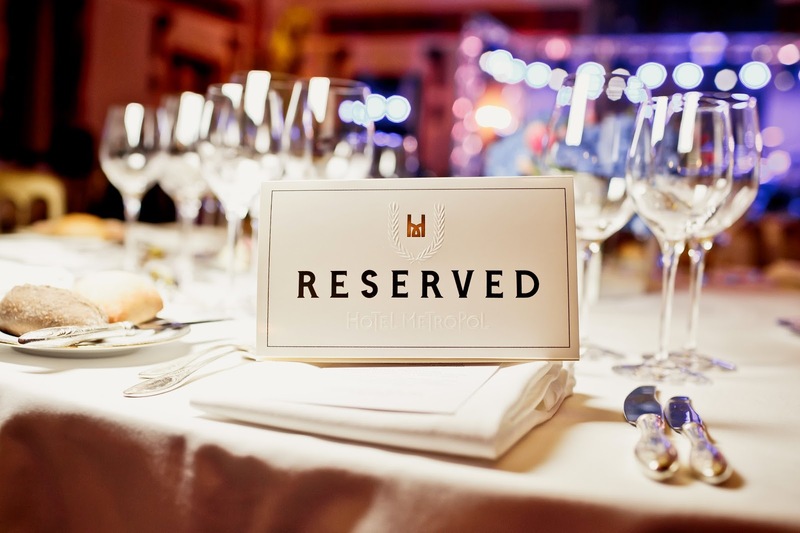 Name plates for your next event can be produced quickly and conveniently, and producing high quality signage at your next catered event will show your customers how much care and dedication you have for their event. Name plate signage isn’t just for office buildings. Hotels, restaurants, casinos and pubs can all make good use of custom signage on a daily basis to promote specials, identify products and direct people within your facility. The cruise ship industry utilizes many types of signs throughout their cruise liners to give their customers the information they need throughout their voyage. Buffets are a great place to utilize name plate style signs to identify food items on display. 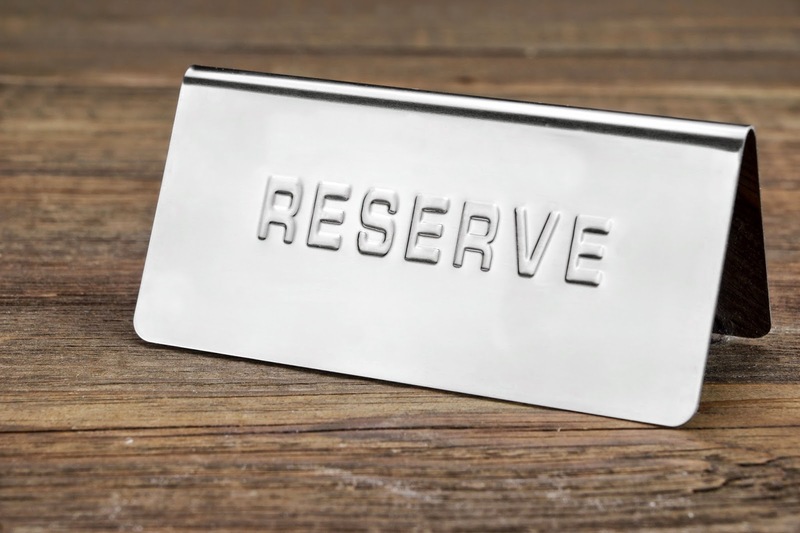 These are ideal for caterers that serve events and weddings, and these inexpensive name plates can be utilized many times without losing their appeal. If your restaurant or catering service produces specialty or seasonal items, we can produce name plates that specific to your needs. There is no need for expensive and impractical restaurant signage for your most common buffet items, especially when name plates are so simple and cost effective to produce. Any signage used in or around food products will need to be cleaned regularly and our name plates are simple and sleek enough that cleaning and sanitizing is very easy, so your name plates can be used many times. Name plates for your restaurant do not need to be confined to the food service areas. Your staff can also make use of custom name plates to display their name and title. Employees will appreciate the recognition provided by a custom name plate. Within your establishment, you can also utilize name plates to designate different dining rooms, offices, lavatories, and even parking areas. Your customers and employees will appreciate the ease and convenience offered by the right signage throughout your dining facility. 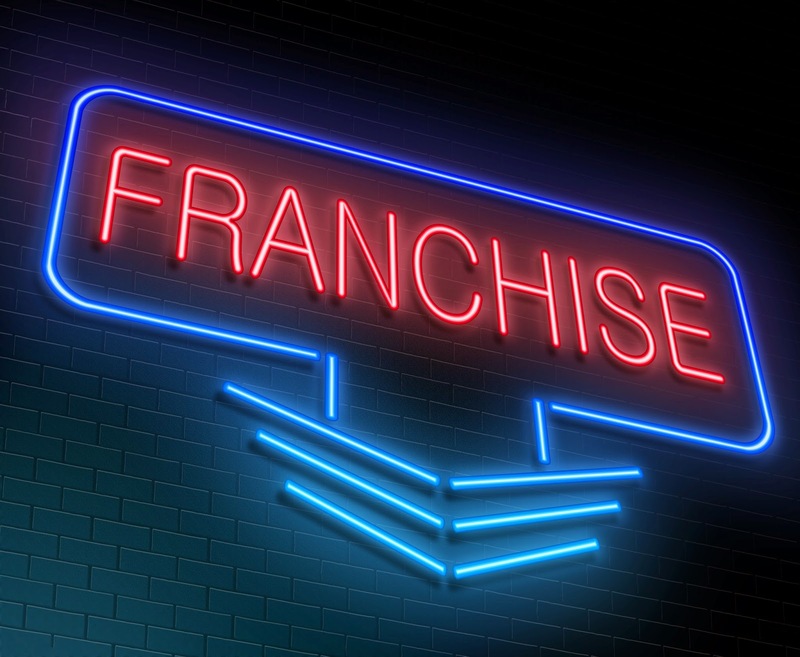 Familiarity with your business is an important step toward repeat customers. today. We can provide a multitude of custom signs for your business that will keep your customers happy and drive sales for your restaurant. With so many colors, shapes and sizes to choose from, your needs can be met easily by our friendly and professional staff. If you are looking for ways to make your office look more professional and provide a sense of dignity and belonging to your office employees, explore the wide range of style and colors that you can select for nameplate signs from T-Cube Signs. Whether you want to show appreciation for a single employee or your whole staff, name plates can provide a great way to impress your clients and vendors, and a personalized name plate provides functionality by announcing the names and titles of your staff. 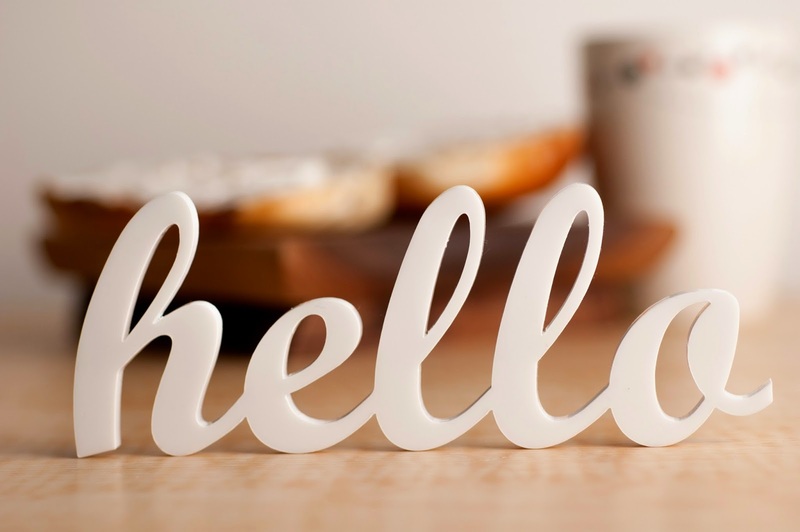 Why are name plates so important to your business? There are actually several reasons. A person’s title within your organization may be very personal a valuable to them. 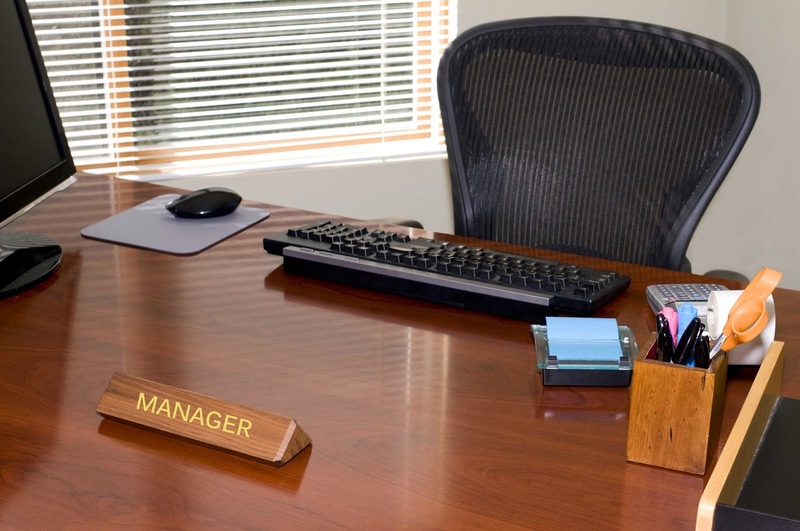 Displaying an employee’s title prominently with a professional looking name plate can mean a lot to an individual. Titles are often obtained over many years of hard work and dedication so it makes sense that a person’s title is important to them. Recognition in the form of a custom name plate can also help to remind an employee of their individual status and importance within an organization. When a person is able to take pride in the status they have achieved among their co-workers, customers and vendors, that employee is more likely to feel compassionate toward the employer who recognizes this status. Finally, one of the most utilitarian uses for a name plate is to simply identify your employee to people unfamiliar with your company. When a potential customer is able to see your employee’s name, that instant feeling of familiarity will help to facilitate your face-to-face business transactions. Name plates can be informal as well. If you have an employee that has earned a particularly positive reputation or appealing nickname, that can be used on a name plate as well to support overall morale within your organization. They can even be used for temporary titles during short projects such as “Team Leader” or “Project Coach” and more. Name plates are wonderful ways to promote an “Employee of the Month” program at your company. Name plates bearing the winner’s name can be displayed temporarily at the employee’s office, desk or workstation, or they can be displayed permanently in an area designated for winners of this distinction. A combination of these two strategies often works best. The workplace isn’t the only use for name plates. When you are trying to think of a gift for that special someone who is difficult to buy for, consider a custom name plate. Father’s day, birthdays or holidays are great reasons to consider a custom-made name plate dignifying the recipient with words of affection and endearment. are a cost effective way to send valuable messages to your employees, customers, vendors and even your friends and family. Acrylic signs can provide functional and effective signage with a wide variety of style, color and design capabilities. Your brand identity can be preserved and reinforced with professionally fabricated acrylic signs and you will find that your options are nearly unlimited. Acrylic signs offer many excellent solutions for your business, and many customers find that their existing signage has become old and outdated. New acrylic signs custom made to your specifications can be an excellent way to make sure your brand is communicated to your customers. Acrylic signage can be created with individual letters to match your brand. Each letter can be mounted separately with standoff style mounts that will give the impression that the sign is floating. The depth and shadows will add to the effectiveness of your signage. Does your company have a custom logo? Acrylic can be custom cut to match your logo design in one of several available thicknesses. Mount your logo sign directly to the wall or with floating standoff style mounts. In addition to a wide variety of color choices for your acrylic signs, you can also choose from many metal finishes for letters or logo designs. From polished to brushed finishes, you can find a metal laminate that will meet your custom needs. Mounting letters and logos to directly to your wall surfaces common, but you can also utilize acrylic panels as a background for your signage. Also available in a wide range of color and metal laminate choices, you can use an acrylic panel to frame your designs and add depth and interest to your signage. While hardware is often hidden, decorative mounting hardware can also be used in various finishes. Brass, stainless steel, or even aluminum can be used with a polished or brushed finish. Using the right hardware can give your signage a classic or sophisticated look. Once your sign is mounted, you will want to ensure that it is presented in the best light. This means that lighting should be focused on your sign in such a way as to highlight its presence during both day and night. Nighttime lighting arrangements can often be dramatic and effective ways to show off your brand image. Acrylic signage is not only advantageous because of its flexibility in design options. It is also important to remember that acrylic can be used for interior and exterior applications. This means that you will be able to maintain the same style and design elements at all exterior entrances and storefronts, as well as inside your place of business to show off your logo and brand, but also to direct your patrons with the appropriate interior directional signage. Call us today for a quote on professionally fabricated Acrylic Signage & Logos and we can answer any questions you may have about your current signage needs.